You and I love to surf the Internet. In these days, living life without the Internet is unimaginable. Whatever the website we browse every day, we leave our footprint there. But what if your footprint ends in Identity theft online? 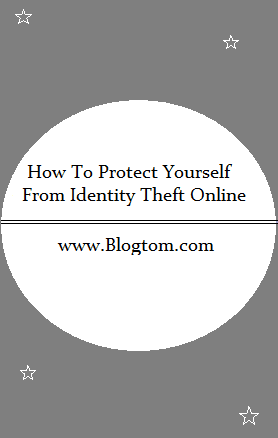 Let's see what is mean by Identity, Identity theft and how to protect yourself online. For every individual, there will be a unique identity. Whether you do shopping online or transacting money through Internet banking/Debit card and Credit card, your username, password, and other confidential data including personal information will be considered as your Identity. For any generation, Information is always treated as wealth. I would say information is Gold. No one will watch a cell phone or computer screen for a long time when it was turned off. But why? Because there is no information there to see since the system hasn't been turned ON. But once turned ON, we spend some more time by looking at the monitor or cellphone screen as it is showing something called as information. To get the abundant knowledge, we dig into the Internet world and naturally begins to spend the whole day. The Internet is the place where we disclose our information consciously or unconsciously. The term Identity theft is the intentional use of someone's personal and business information to gain financial freedom. This makes a huge financial loss for the victim. The value of stolen identity is completely depending upon the value of the information. Example: Your full name, bank information, passwords, etc and so on. Here, each information has its own value. The Hackers can misuse the stolen identity in many ways which result in serious consequences. If you browse the Internet, you can get a lot of testimonies of the victims whose Identity has been stolen and misused. According to FTC (Federal Trade Commission), more than 9 million Americans are filing complaints each year regarding their Identity theft. Consumers with good technical knowledge were able to restore their identity while others are still sinking into the deep ocean. Hackers can go to any extent to take advantage of your identity. That doesn't mean that ordinary people cannot protect themselves from falling prey. With the help of following preventive measures, one can browse the Internet without getting hacked. Here, I'm going to explain 8 different tips that you should know to protect yourself online. If you use Gmail or Facebook account, you may come across the procedure called 2 step verification process. It is essential for you to protect your account online. Most banking system recommends 2 step authentication for their consumers which helps to protect the individual Internet Banking Account. Two-factor authentication is nothing but a procedure to log into your online account using OTP (One Time Password) received through your mobile number. It brings an additional layer in securing your account. If you've already opted for 2 step verification and when you log in with your username and password, you need to enter the OPT or code on the browser that you've received on your mobile. If you don't want to receive OTP for yourself, you could check the option called "Trust this Device" on the browser. 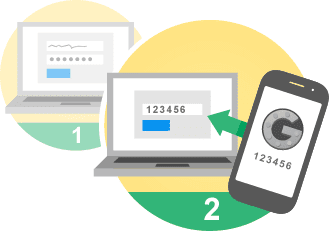 Two-factor authentication considers each browser as a different device. You have to repeat this step if would like to use different browsers from your PC, Laptop or Smartphone. Two-step verification is very useful in case if someone knows your password, they can't log in without your ID as need OTP number. If you receive OTP without your knowledge, there should be something fishy and it's the time for you to change the password. 2. I Got a Strong Password and I will Use it Everywhere? Are you active on social media like Facebook, Twitter, Google Plus, Medium, Tumblr? Do you use the same password everywhere? This makes it easy for the hackers to dig into all of your online accounts. 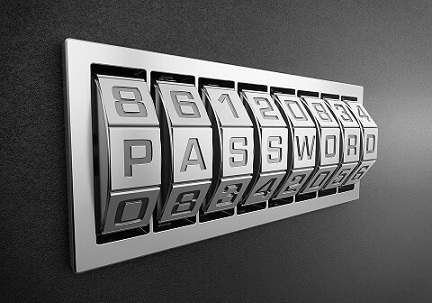 Now change your thought on using the same password wherever you log in. Prefer strong password. A strong password should have at least 8 alpha-numeric characters. Case-sensitive passwords are better to use. Hackers try to invade your PC by spreading Virus and Malware scripts. If your system doesn't have a good Antivirus and Malware protection apps, any kind of malware, adware, and the virus can attack your Internal hard of the system while surfing the Internet. Your entire PC can be locked by Locky Ransomware. Some of the good Antivirus software are Avast, Norton, and Kaspersky. Along with an AntiVirus software, you can use Malwarebytes AntiMalware software to protect your PC from malware attack. 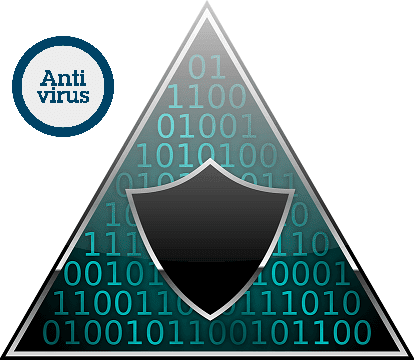 The little difference between a virus and malware: A virus can destroy your data. A malware can lock your data and so hackers can gain financial advantage. When you use Anti-Virus Software, other apps and operating system on your PC or Smartphone, you have to update it whenever a new update is available. Your apps and OS is doing a great job in your day-to-day life but why need to be updated often? To secure your data and prevent vulnerability, most bug fixes come in the form of an update. To patch any loophole and protect your device from vulnerability, the latest version of the update need to be installed in your system. 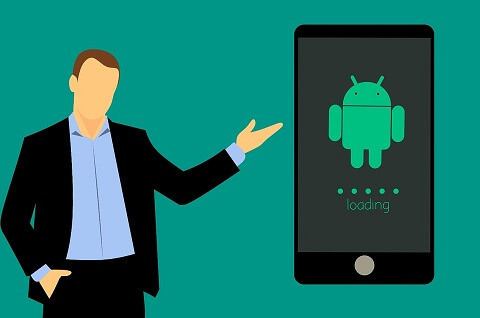 Your system should have a steady flow of Internet connection since Anti-virus app developers release frequent updates. In addition to this, developers improve the User Interface of the apps and OS. It is recommended that automatic update has to be turned ON for full protection. If you buy a locker, it comes with two keys. One is original and other is duplicate. The same applies to data storage. If you have saved confidential and other important data and files on your system, you should prefer cloud storage for a stable back up. When your data has been lost or stolen, you can actually restore by synching the data that you've already uploaded in cloud storage. In case, your system has been locked or damaged or even locked by 'wanna-cry' ransomware, cloud storage helps you to get back your data. Whenever you sync your information with cloud storage, you don't even need to feel worried if you lost your information. 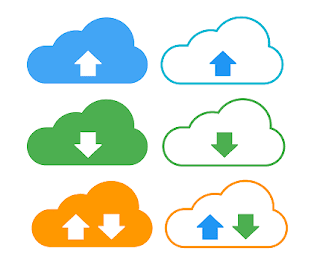 Some of the best cloud storage services are Google Drive, Dropbox and iCloud. 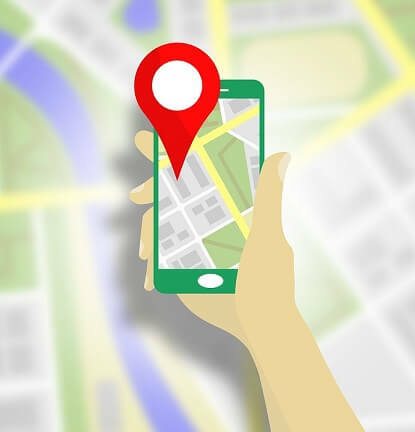 In social media, you might have noticed that some people knowingly reveal their location on their Timeline. I use Facebook and noticed that some of my friends who travel here and there, even go abroad, they try to show where they are. They were exactly marking their location and sharing it on their profile. Did you know how it might backfire them? When an unknown person or a criminal is watching your profile, he/she will come to know that you are not in the home. It is a green signal for them to chase your home and can rob your properties. If you share your location online, it's like you're saying, "Hey, I'm out of my home and someone please come to my home and picks your cash soon". Just kidding. It's a serious issue and you need to stop sharing your location. Personal information like SSN (Social Security Number), Phone number, Residential address, Credit or Debit card numbers should not be saved online especially on Social Media. Scammers are hungry enough in hunting the profile that showing too much of personal information. Even if you post your contact number, do not reveal it for the Public. Change it to show "only to friends" or "only me". Revealing your phone number to Public can be annoying. You may receive fraudulent calls to get your more personal information from you. Never believe a call, text message or E-Mail which says "You won a Lottery from the UK. Pay for shipping your cash and get your lump cash". If you receive fraudulent text messages or calls, just ignore and hang up. Your SSN is the very important information that you should not tell to the doctor's office too. 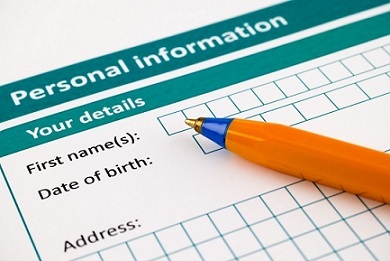 When you go for an encounter or treatment, when filling the personal information in the demo sheet, you don't need to enter entire SSN number. Instead of providing full SSN number, write only the last 4 digits of your SSN. Other than your Bank's official website, think thrice before sharing your SSN to any other websites. If you really love browsing, you might have noticed that most of the websites have migrated from HTTP to HTTP. i.e Hypert Text Transfer Protocol to Hyper Text Transfer Protocol Secure. In our blog, you can see in the URL address bar that we've also migrated to the HTTPS version (Lock symbol). It means the encryption within HTTPS is intended to provide benefits like confidentiality, integrity, and identity. Whenever you're going to make a transaction using Internet Banking facility, first of all, notice the URL address bar. It should show HTTPS. Also, check whether the name in the website URL is correct. If there are some changes in name and not an https version, it is not the official PayPal website but a phishing site that looks like PayPal. To avoid phishing sites, directly enter full URL including https on the address bar of your browser and hit "Enter". Protecting yourself online is very easy if you follow the tips given in this post. Apply these tips to enjoy surfing the Internet with the utmost freedom.